What are the Best Shoes for Overweight Walkers? You probably already know this…but when you’re overweight, there’s a lot of pressure on your joints. Everything from your ankles, to knees, hips and back. that’s why the right choice of footwear is very important, especially if you’re going to be starting a walking program to lose some weight. In addition, walking when carrying around some extra weight puts extra pressure on the feet. It can lead to things like plantar fasciitis, shin splints, knee pain or supination. The right choice of footwear is obviously very important. Walking is an excellent first step to improving your health, but do it wisely. If you pull out those old tennis shoes that you have lying around the garage for mowing the lawn and start walking 5 km a day or more in them. Well? You may not have great results and could even end up injured. Don’t worry. We’re here to help. We’ve tested the top walking shoes and have ones that offer superior cushioning and support for obese walkers. Let’s get to it! Let’s get to it! Why risk injury with a sub-par shoe? 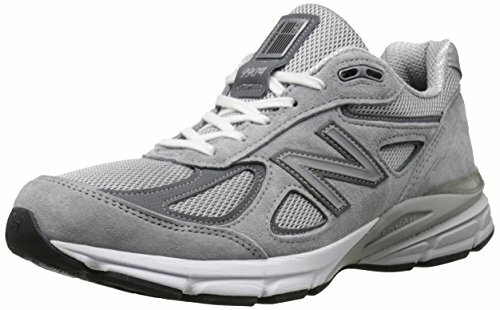 Our top pick for shoes for obese walkers is the New Balance 990, version 4. It’s a top of the line running shoe with the perfect blend of cushioning and stability. It comes in both men’s and women’s version, in up to size 16. The best thing about New Balance shoes for overweight people is that they are available in wider widths, meaning that they may fit better than regular sneakers. However, they do still offer a good fit throughout the shoe, meaning that they’ll be snug enough and not give you blisters. Specially designed to support low arches and keeping pronation under control. 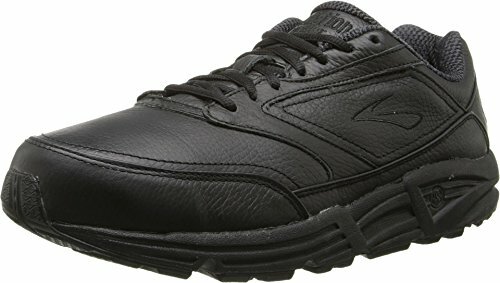 Next up on our list of the best walking shoes for heavy walkers is the Brooks Addiction Walking Shoe. It has the fit and feel of a top-quality running shoe, but it’s designed for walkers. The full leather upper keeps the elements out, and also provides a lot of durability. The slip-resistant sole makes them ideal for many different kinds of terrain. Many overweight people find that they’re very comfortable and do a great job at making walking more comfortable. The extra support in the midsole is especially designed for people with low arches (many overweight people have this problem), so the Brooks Addiction Walkers may be a nice pick for you. 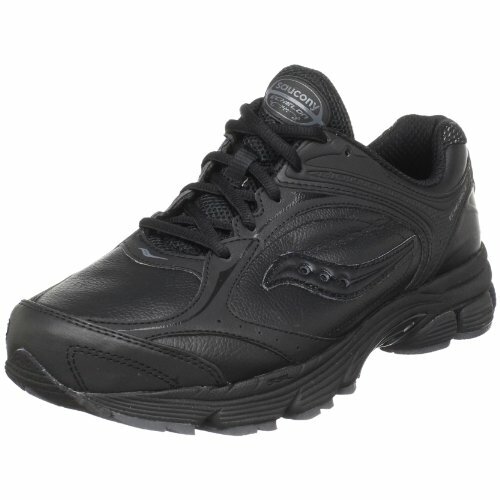 The next pick for sneakers for overweight walkers is the Saucony Echelon LE. This shoe is ideal for overweight people who are prone to joint issues. The plush tongue and collar offers a comfortable, custom fit that means your feet won’t slide around in them. The shock absorbing sole helps minimize the impact, no matter what your weight is. Beyond that, this shoe is very friendly to custom orthotics. Just remove the insole that comes with the shoe and you’ll be good to go. Very comfortable, custom fit that will ensure a great walk! Next up on our list of the best shoes for overweight walkers is the Brooks Ghost 11, a top-quality running shoe. If you are looking for a shoe with neutral support (that is, you don’t turn your feet inwards or outwards), then this one should be at the top of your list. We recommend is so highly for overweight walkers is the amount of cushioning it has. It’s well-designed to absorb a lot of shock, and the foam in the sole is strong, durable and can take a beating and keep on going. Asics Gel Nimbus: The Best Walking Shoes? PLUS 3 MIDSOLE TECHNOLOGY: 3mm of additional height on women's models helps relieve achilles tendon. Another running shoe that you might want to consider if you’re an overweight walker is the Asics Gel Nimus. The comfort, combined with superior cushioning makes them an ideal choice for a heavy person. Many reviewers have mentioned that wearing this shoe is like putting some house slippers on their feet, and then going out running or walking. They really are that comfortable. The combination of shock-absorbent sole, and good level of gel cushioning in the rear and front means that you will be able to start your walking program without fear of injury. These are some of the best shoes you can buy! Plus, you’ll have the ability to move into running if you’d like with this same pair of shoes. You can start by walking, then going into a run/walk routine and finally just running. If that’s your goal, then the Asics Nimbus might make a nice pick for you. This running shoes is also one of our top picks if you have back pain. Find out more here: The Best Sneakers for Back Pain. What Should I Be Looking for a in a “Fat People” Shoe? There are a few factors to consider when looking for that perfect walking shoe for overweight walkers. When you put the shoe on, it should just feel comfortable. Kind of like a pillow on your feet. If it doesn’t, you probably don’t have the right shoe for you and should consider another option. Walking shoes, or any kind of athletic shoes don’t require a break-in and should feel quite good right out of the box. Make sure your shoes are large enough. There should be some room at the end so you can wiggle your toes around easily. However, you don’t want them too big so your feet are sliding around in them, particularly when you’re going down hills. Of course, wear your normal walking socks when you try them out. If you have arch issues, or tend to over pronate, then getting a shoe with good arch support is very important. You should be looking for a “stability” shoe in this case that can help keep your feet aligned as you walk or run. You’ll want to get shoes that have a nice level of cushioning to them. They can help to absorb the impact from your foot striking the ground and prevent injuries. With proper cushioning in shoes, you can prevent things like shin splints or metatarsal fractures. Overweight people should certainly avoid barefoot, or minimal shoes that have almost no support in them. Quick tip: be sure to replace your shoe at least every year. The foam starts to become compacted as you use them and you won’t have as much shock absorption power. If you live in a hot climate, it’s very important to get a shoe with a mesh upper. This will allow your feet to breathe and have some air flow going on. Nobody likes having big clunkers on their feet when they’re walking or running, right? Consider getting a lightweight shoe. The good news is that almost all running and walking shoes are already quite light in weight so you don’t have to worry too much about this factor. Overweight walkers will want to pay close attention to this. You certainly don’t want to have more weight than necessary to move around. Running shoes will be well suited in this aspect. Walking Shoes for Men or Women? Some people think that the only difference in men’s and women’s athletic shoes is the sizing scheme. It’s partly true, but in many cases, men’s shoes are also wider than women’s. This can make a big difference when it comes to getting a good fit. So, women—stick with walking shoes for women. And, men with men’s walking shoes. In the world of workout or sports shoes of any kind, it pays to stick with a reputable company. This way, you’re usually guaranteed of a nice fitting shoe that won’t lead to injuries. Should I Use Running Shoes or Walking Shoes for Walking? That’s an excellent question and we’re happy that you asked. In reality, the most important thing is the heel differential. That is, the drop from heel to toe. Running shoes and most walking shoe have a heel height of 10-12 mm. This helps to propel your feet forward with each stride. On the other hand, minimal barefoot shoes or weightlifting shoes will have a drop of 0-2 mm. Falling in the middle are cross-training or CrossFit shoes. They have a heel height of between 4-7 mm and are designed for a bit of everything—running, lifting, jumping, climbing, etc. So, when you consider the heel height of walking shoes and running shoes, you’d do well with either option. The main difference between these two shoes is the construction. The upper for running shoes is almost always made with mesh. It’s breathable, but less durable. They are very light in weight and can stretch a wee bit to accommodate very big feet. However, walking shoes are usually made from leather, making them less breathable, but more durable. This also makes them slightly heavier. They also don’t have a lot of stretch or give, so can’t accommodate extra big feet. There you have it! The advantages and disadvantages of running shoes vs walking shoes for overweight people. 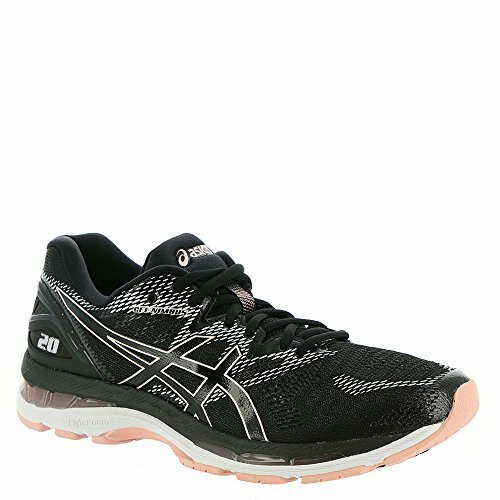 Do you have any recommendations for shoes for overweight men or women? Leave a comment below and let us know!